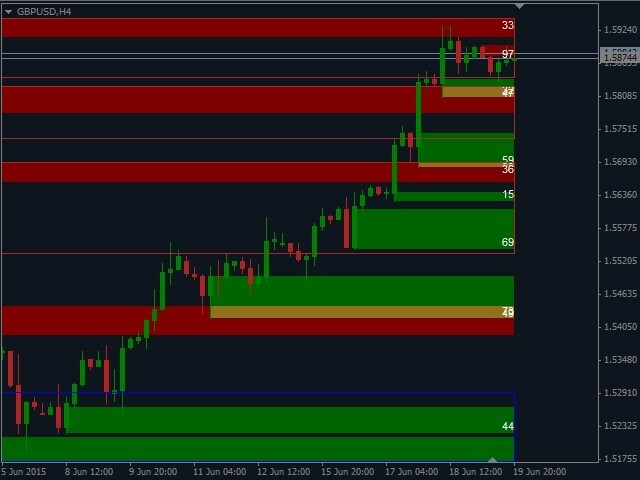 The Supply and Demand with Swap zones MTF indicator is a modified and enhanced version of the Supply and Demand Multi Timeframe Indicator indicator, which helps you to analyze a chart using the rule of supple and demand on three timeframes at a time. 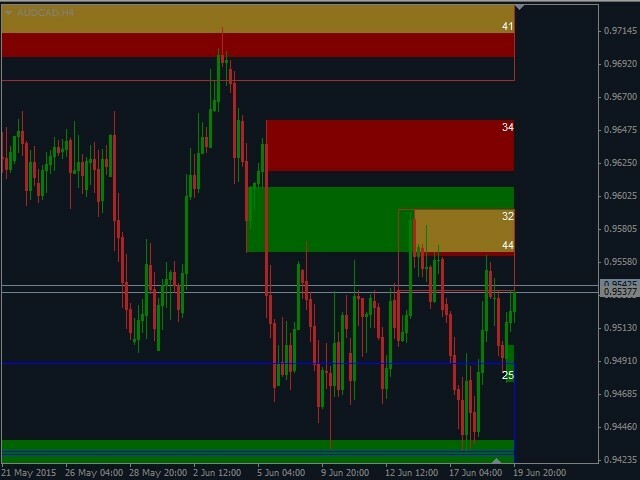 This version has so-called swap zones - areas which have been broken through by the price but still have power. 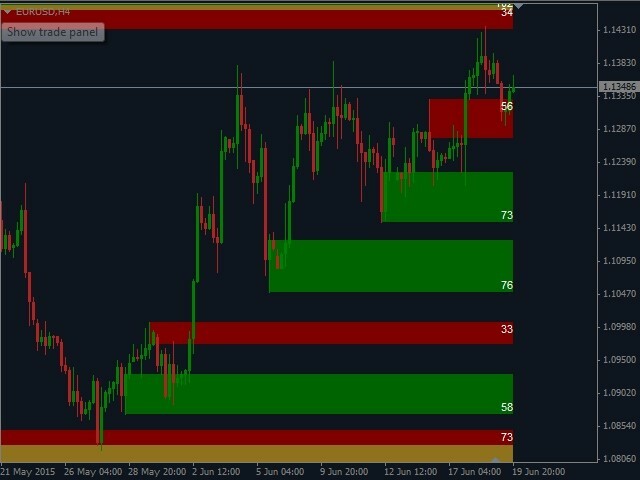 The most significant areas of the chart are "overlaps" where new supply/demand and swap zones are formed. The indicator supports several types of notification, including push notifications. 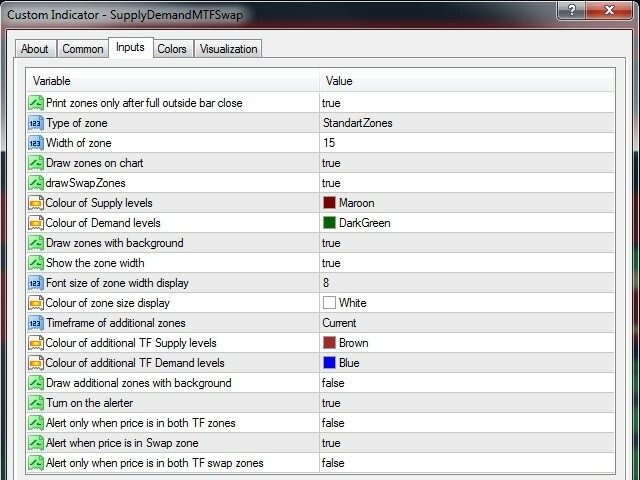 It is also possible to configure the display type of zones, including width and color of the zones. 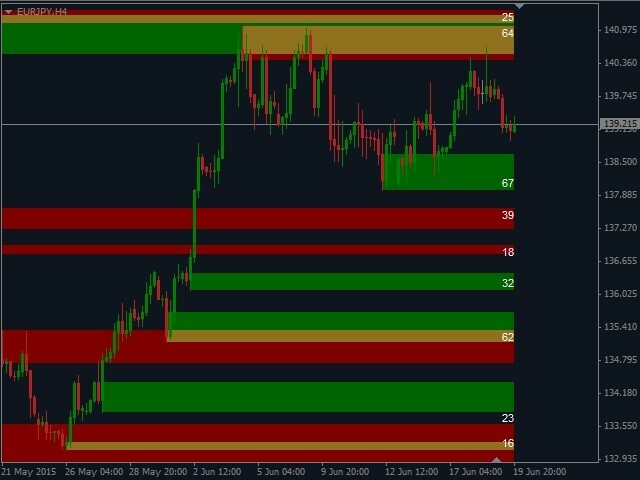 In the options, you can select different types of zones calculations, including those formed by the Engulfing pattern. Use Push notifications - use push notifications. This is the best product support have had of all indicators i have used. All suggestions taken into account and changes made with speed. I cant thank you enough. I highly recommend. 2. Added a third additional timeframe. 5. Added mode for displaying Swap zones only.